Got a new idea in your mind? Want to get them down on the screen? GUI software are for you, to help you get your ideas visualized on the screen without much of coding. GUI is an interface which will allow you to interact with electronic devices with graphical icons. GUI’s are used in many electronic devices as you can find around you, including but not limited to, mobile phones, mp3 players. So, if you have an idea or want to create an application oriented GUI for your organization, following list of some of the best-picked software are ready to help you! 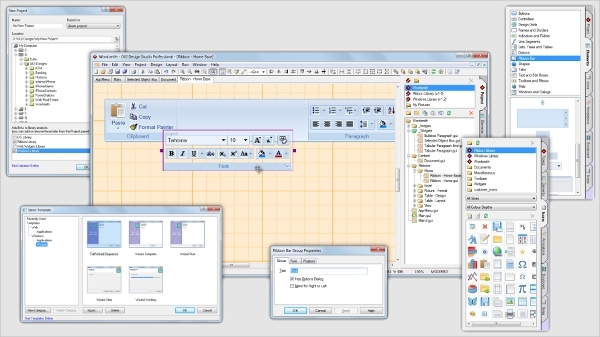 GUI design studio software gives you a code-free, just drag and drop user interface. 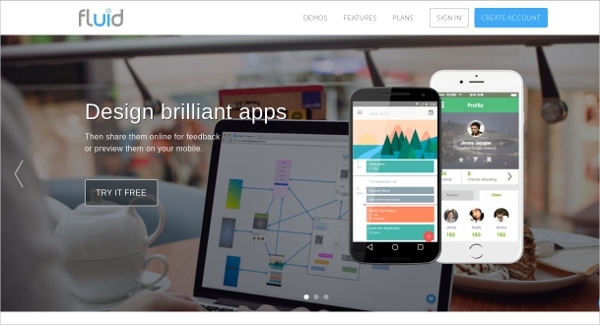 It’s the software basically designed for software designers, developers and consultants. Caretta has a ton of features to offer you, including more than 120 built-in design elements ready to just drag and drop. This software gives you the ability to create a custom widget and library for later use. Also, you can test your work with just a click, giving you instant results about your work to judge yourself for going in right direction. You can try this software for free for 30 days, later you will get various versions to select from. 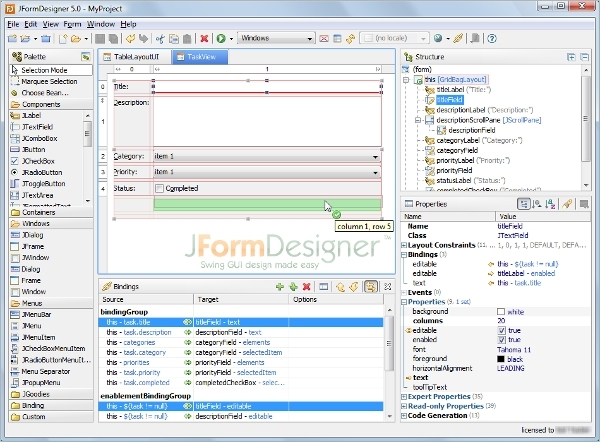 Jform Designer is a Java based GUI design software. 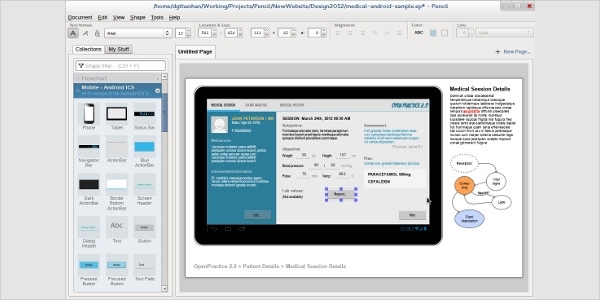 It has got some unique features to offer, including Menu designer, localizer support, BeanInfo annotations, standard and custom JavaBeans. This software has the ability to generate Java code for your from itself, or you are given an option to use the open source runtime library to load Jform Designer XML files at the runtime. The software has a support for GroupLayout to make things easy and has a professional look to GUI’s. 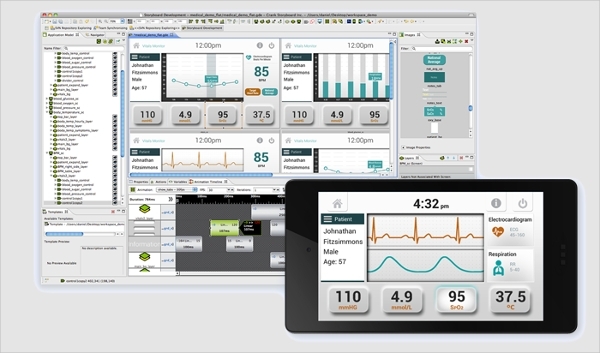 The study board suite from crank software is designed for giving the user a simple yet a powerful tool for GUI design. The simulator built in the application will allow you to test your application prototype on your desktop. Also, this software gives you an additional functionality to import Adobe Photoshop PSD files into storyboard designer. After importing you can quickly start to take control on the application for GUI. The best thing about this software is it gives support to multiple platforms. Fluid UI is an Android application designed to run on the Android platform. Powerful version control will allow you to use options as undo, copy, archive, automatic revisions. Instant previewing gives instant test and review option to quickly adopt the changes or discard as required. All these things can be done without coding, just with the use of FluidUI. Developed specifically for Mac Platform, Antetype has some of the unique features to offer designers like you. Antetype has more than 400 widgets pre-defined while if you expect, even more, the community can get you more widgets. It features a browser independent web viewer to present your designs without any flaws. The best part is a free trial can be taken by you to judge the software before counting on it. Pencil project is a GUI designer software designed for windows platform. A pencil will provide you a large base of built-in shapes collection making it easier for you to start prototyping as soon as you get the software installed. You can also define custom shapes with a utility called Diagram drawing included in Pencil. Pencil also supports exporting the file to different platforms which are popular. 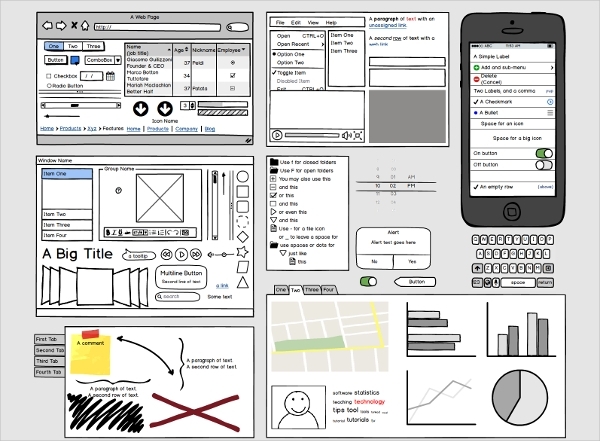 What is a GUI Design Software? 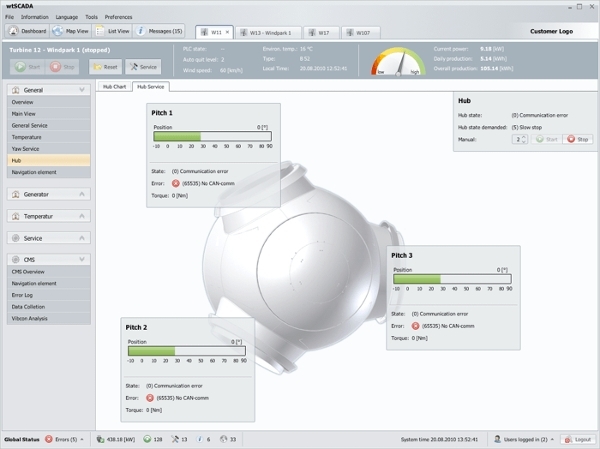 GUI stands for Graphical User Interface, it is a program interface that uses the capabilities of computer graphics to make it easier to use the program. A well designed graphical interface helps you to avoid learning difficult coding languages, though some users prefer coding language more than GUI. GUI design software helps you to implement a graphical interface above your program, such that a click on any graphical identity is equivalent to a coding command. It appears that all the above-listed software are capable of meeting the demands fully for which they are designed for. Some are platform dependent, that is, they perform better on the native platform for which they are designed, while others are most popular and have high user base giving more contribution for further development. So, you can just try out the trial version and spend some bucks on the software you feel comfortable with, each software being best in few features.